Sunday morning I went looking for Topper to visit with him about some LGF Senior Pontoon issues. He was working on his boat and planned to go trout fishing on Monday. He asked if I would like to go and shortly after 7:00 a.m. on Monday morning we were checking into Canadian Customs on our way to Crow lake. It was a picture perfect day; sunny with hardly a breeze and the temperature nearly seventy degrees. This was going to be a first for me. 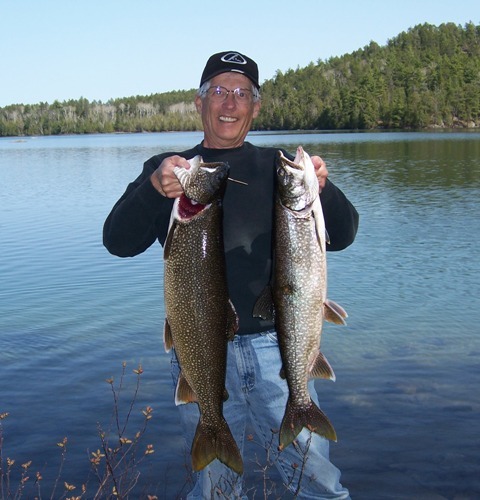 After all the years living up here I had never fished Crow lake in open water. It’s a beautiful lake with some of the clearest water in the area. We launched the boat at the Government landing and motored 6-7 miles or so to an area Topper was familiar with. 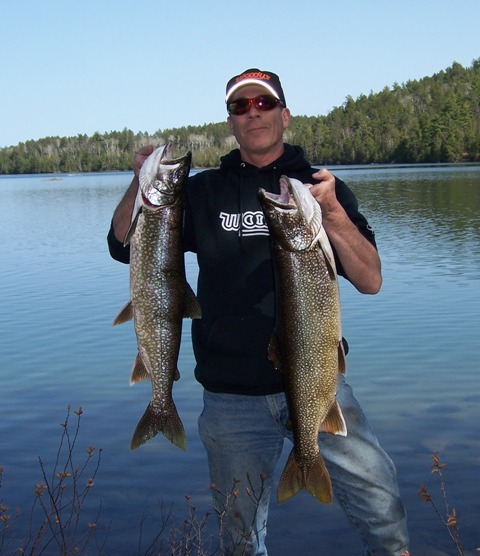 We trolled some rapala’s for a while; I had a nice fish on, but it got off. About noon we stopped on a rock; threw out some cut sucker and were going to have lunch. 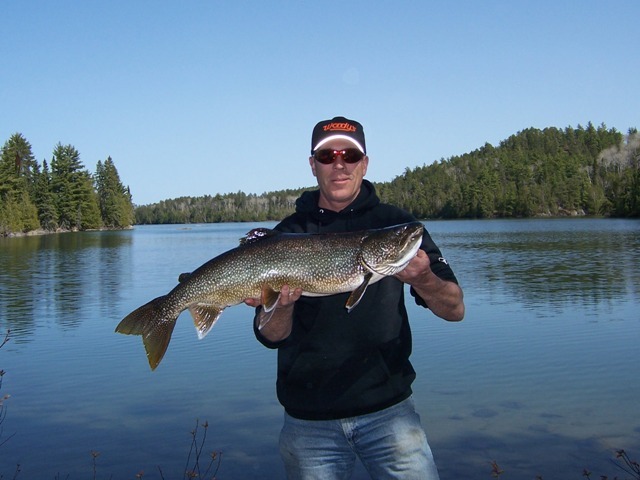 We hadn’t been there ten minutes and Topper got a run that produced a beautiful 33″ lake trout. An hour later I got a 30″ trout. The next couple of hours we only had one short run that was dropped. We decided to go back and troll for a short time before heading home. Just before we were going to quit I got what I thought was a nice trout on, but it turned out to be a 39″ muskie. We took a picture quick and released it. 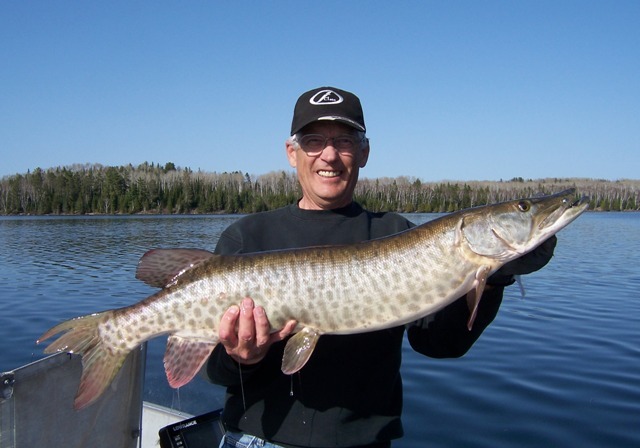 Another first for me; I had never caught a muskie before. Two firsts in one day; not bad.